Here and on my blog I'll be posting articles based on my experience in the recycling and salvage business. My hope is that these will inspire and help you. Scrap Metal Prices Up/Down. Is This a Bubble? What To Do. How I Get Great Value for Collectibles in a Terrible Economy. E-Waste Video: Tearing down computers for gold, precious metals and reusable components. How to Make Money? Nothing is More Valuable than Word-of-Mouth Referrals. Heavy Storms, Extreme Weather and Aluminum Salvage and Recycling Opportunities for the Home Based Recycler. Make Money in Aluminum Recycling & Salvage: Winter Storms Bring Recycling Profits. Home Based Recycling and Salvage 101: Bootsrap Yourself out of the Recession. Home-Based Recycling Business Profits: Sell Used Tech Gadgets for Cash. 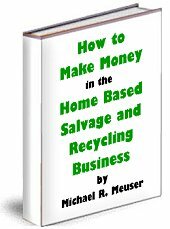 Learn how to bootsrap your home-based recycling business. High profits come from turning over your recycled and salvage material as quickly and as often as possible. Gold from Electronic, Telecommunication & Computer Scrap: Part 1: To find the "gold" keep your eyes and ears open. Gold from Electronic, Telecommunication & Computer Scrap: Part 2: Winning the Contract. 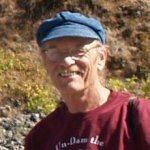 Gold from Electronic, Telecommunication & Computer Scrap: Part 3: Finding markets and getting the equipment you need.